Icicles hanging from your roof may look pretty, but they’re a sign that your home is losing heat. Not only is it expensive to heat the whole neighborhood, but ice buildup can do serious damage to your roof and promote moisture and mold inside your walls. 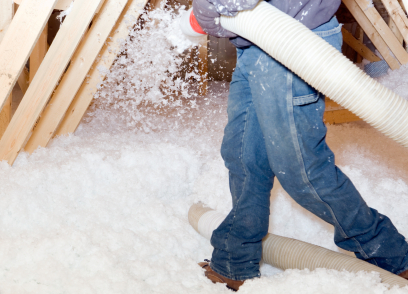 According to energy experts, the single most effective way to reduce your heating costs and protect your home from ice damage is to insulate your attic and walls. New London Seamless Gutters is now offering a package combining blown-in insulation, air sealing, and a radiant barrier. Don’t worry – no demolition is required! 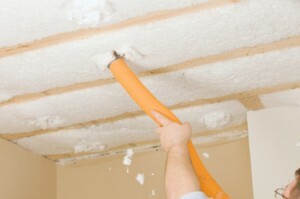 Our technicians use a blower to inject insulation evenly into cavities inside the exterior walls of your home. Our insulation is made of cellulose treated with fire retardant, a recycled material that is both eco-conscious and reasonably priced. 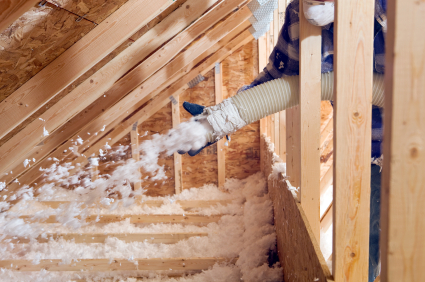 Combine that with air sealing and a radiant barrier – a high-tech reflective foil installed underneath your rafters or inside your attic crawl space – and your insulation will work even more efficiently. Insulation is an investment that will begin paying you back with its very first winter. For more information on how we can help you conserve energy and protect your home’s value, contact New London Seamless Gutters or request a quote from us today.